The stem of this plant is smooth from one to four feet high, and growing from a perennial root. The leaves are alternate, lanceolate, smooth, and glossy above, paler and pubescent beneath; flowers greenish-white, and fruit a dark-blue or blackish berry. 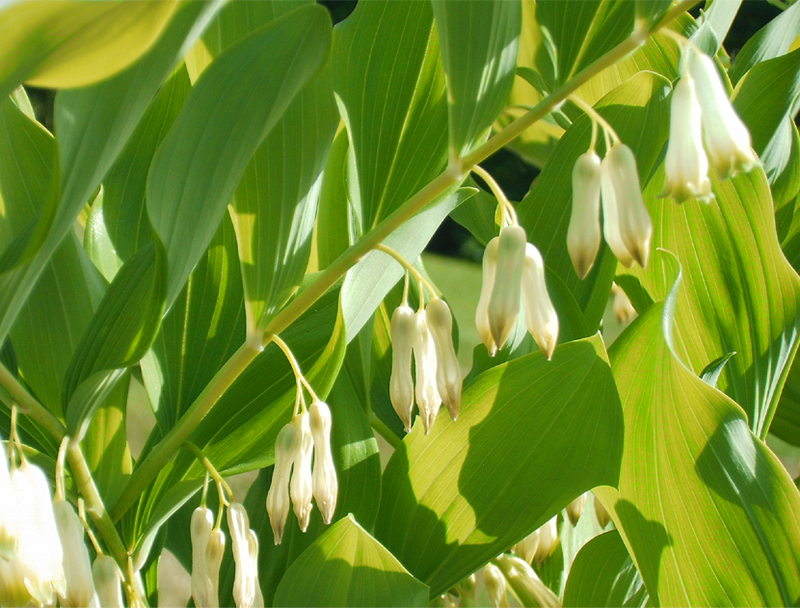 There is another variety, the Convallaria Racemosa, the root of which possesses similar qualities to that of Solomon’s Seal. Polygonatum ambiguum (Des Moul.) B.D.Jacks.